Sink into this stylish retreat on the garden floor of a newly renovated Brownstone in this trendy Brooklyn enclave. The stunning landmark apartment boasts original details such as fireplaces, floors and moldings, which combine with refined and eclectic mid century modern furniture for a boutique hotel aesthetic. Its European owner has created a distinct style and comfort which carries throughout -- white, high-thread-count linens on brand-new posturepedic beds, as well as deluxe towels and spa-like toiletries in the bold, 1920s-designed bath suite. Just one of the apartment’s many highlights. Steps away is the Utica subway stop which allows guest to breeze into Manhattan or travel to and from JFK in 20-30 minutes on the speedy A/C train. Alternatively, hop on the bus or subway to nearby Williamsburg, Park Slope and Fort Greene, or leave the hustle and bustle behind for the tree-lined, village feel of Stuyvescent Heights. This apartment had everything we needed and was nice and quiet even though it was close to transport and shops. Great facilities and helpful host. Overall, the stay was good, but we had an initial problem which the owner fixed. The apartment hadn't been cleaned when we checked in, even though we didn't arrive early. We eventually reached the owner, and she sent someone over quickly, and said she would refund the first night for the inconvenience (refund didn't happen). After initial problem was resolved, the apartment was everything advertised. A very nice, well-appointed base for Brooklyn/Manhattan (close to the Utica subway stop) exploration. This was the perfect place to enjoy NYC while getting away from the noise of Manhattan. Conveniently located near an A train stop so it is still very quick to get into Manhattan. Enjoyed exploring the charms of Brooklyn. 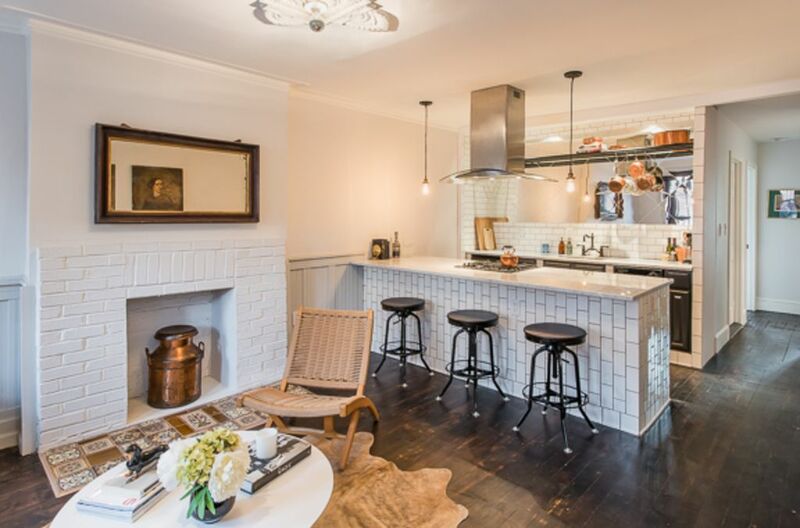 Charming, comfortable and contains all the conveniences to enjoy a lovely time at home in Brooklyn. This is my first time spending Christmas in New York, along with my two adult children. Many beautiful new memories were created, thanks to this apartment that made our Christmas just right. Will definitely return! Thank you, Nina, for sharing this space with us. We were in the city for most of our stay, but this apartment offered a comfortable place to sleep and recharge. Only downside was the distance from the city. Easy subway ride, but late night rides for my teenage daughter and I were not an option. Taxi and Uber from the city were pricey. I would, however, consider staying here again. 100% of deposit refunded if accommodations are cancelled 30 days before arrival.